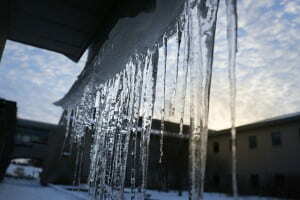 Residence Life » Blog Archive » Are you Ready for Winter? Not everyone is accustomed to driving significant distances in inclement weather. Please make sure you are prepared for winter and weather/road conditions that can threaten safety. Following are a few simple driving habits such as planning ahead, driving at a safe and legal speed, driving alert and sober, and buckling up could ensure that you make it to your destination safely. Plan your travel, selecting both primary and alternate routes. Let someone know your travel routes and itinerary so that, if you don’t arrive on time, officials will know where to search for you. Check latest weather information on your radio. Try not to travel alone – two or three people are preferable. Travel in convoy (with another vehicle) if possible. Drive carefully and defensively. Watch for ice patches on bridges and overpasses. Take note of your odometer and coordinate it with exit numbers, mileposts, or crossroads so if you are in a crash or slide off the road you’ll better be able to identify where you are and summon law enforcement officers, rescue workers, or tow truck operators more quickly to your location. If a storm begins to be too much for you to handle, seek refuge immediately. If your car should become disabled, stay with the vehicle, running your engine and heater for short intervals. Be sure to “crack” a window in the vehicle to avoid carbon monoxide build-up. Call ahead to your destination just as you are leaving. Let someone at your destination know the license number of your vehicle, what route you’ll be traveling, and give a realistic estimate of your travel time. If you have a cell phone, give that number to the party at your destination. If you have friends or family at your place of origin, you should call when you arrive to let them know you have arrived safely. If road conditions, tiredness, etc. delay or postpone a trip, make a phone call. Let people on both ends know of the delay. Encourage your student to register for GBAlert. The Snow Emergency text function is used to update students and faculty regarding changing campus conditions.